About "SHSAT Math Practice Test with Answers"
Here we are going to see some practice questions questions for SHSAT exams. Each question paper consists of 20 question. For each questions, you can find solution with detailed explanation. (1) Five apples and 6 bananas together cost as much as 8 bananas and 9 pears. One apple costs as much as 2 pears. For the same price as 1 pear, how many bananas could be bought? (3) What is the value of 4|x – y| - 3|xy| if x = -5 and y = 2? What is the hundreds digit in the sum of all eight of these numbers? (5) In Ms. Hsiao’s class there are twice as many boys as there are girls. Half of the boys are in the math club and all of the girls are in the math club. What percent of Ms. Hsiao’s class is in the math club? (A) is 100. (B) is 80. (C) is 50. (D) is 20. 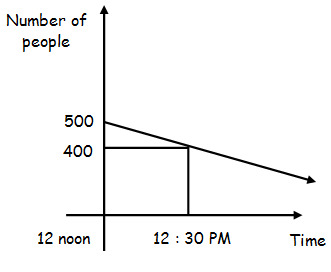 (8) The straight line graph shows how many people are in a large cafeteria eating lunch at different times. If the people leave at a steady rate, at what time will oly 150 people remain? 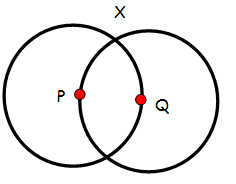 (A) 1:15 P.M. (B) 1:30 P.M. (C) 1:45 P.M.
(D) 2:15 P.M. (E) 3:30 P.M.
(9) Two congruent circles have centers P and Q as shown. 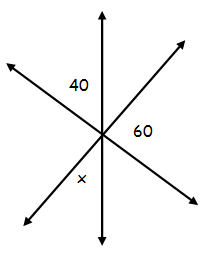 What is the measure of angle PXQ? (10) Andrew has d dollars. He has one-third as many dollars as Bruce has. Carlos has $80 less than half the total of Andrew’s and Bruce’s dollars. In terms of d, how many dollars does Carlos have? (11) The sum of 7 unequal positive integers is 61. What is the largest possible value that any of those integers can have? (A) 6 (B) 7 (C) 8 (D) 9 (E) none of these. 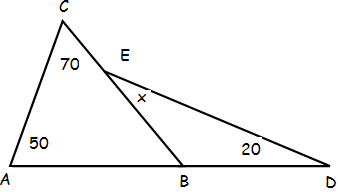 (15) If x is greater than 1/2 but less than 1, which of the following has the largest value? (20) Three-fourths of a number is equal to L. What is three-halves of that original number, in terms of L? After having gone through the stuff given above, we hope that the students would have understood, "SHSAT Math Practice Test with Answers". Apart from the stuff given in this section "SHSAT Math Practice Test with Answers", if you need any other stuff in math, please use our google custom search here.